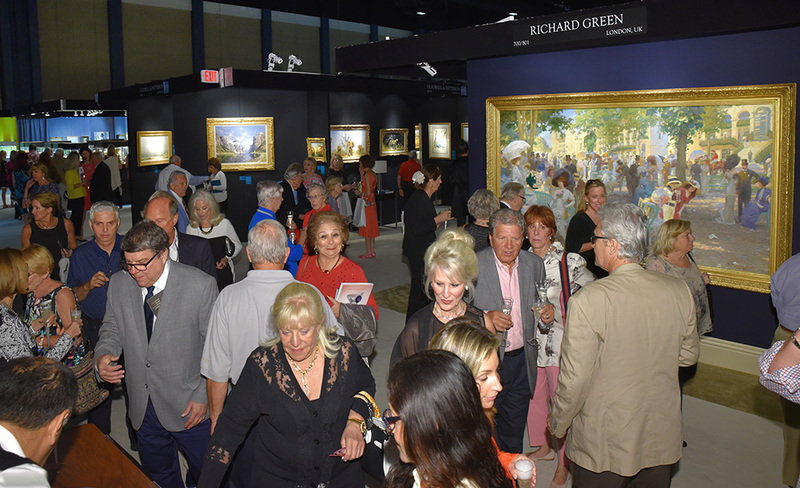 The Vernissage brought a full house of collectors and art enthusiasts to the Palm Beach County Convention Center on Wednesday, February 14. 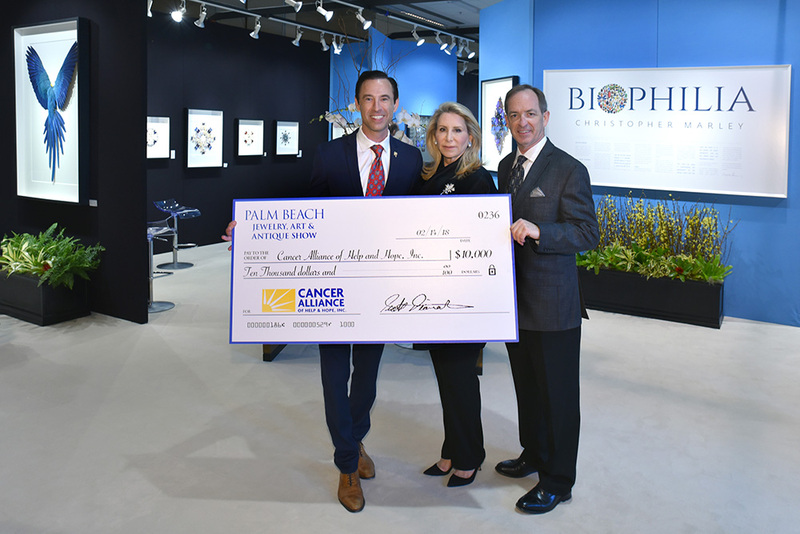 WEST PALM BEACH — After the most successful opening night preview event in the show’s history, the 15th Annual Palm Beach Jewelry, Art & Antique Show opened its doors on Wednesday, February 14 to thousands of enthusiastic art connoisseurs, private collectors, museum curators and high-end interior designers. The show kicked off on Wednesday at 4 pm welcoming an elite group of individuals for the exclusive Vernissage event benefiting the Cancer Alliance of Help & Hope followed by the VIP Preview Reception at 7 pm. 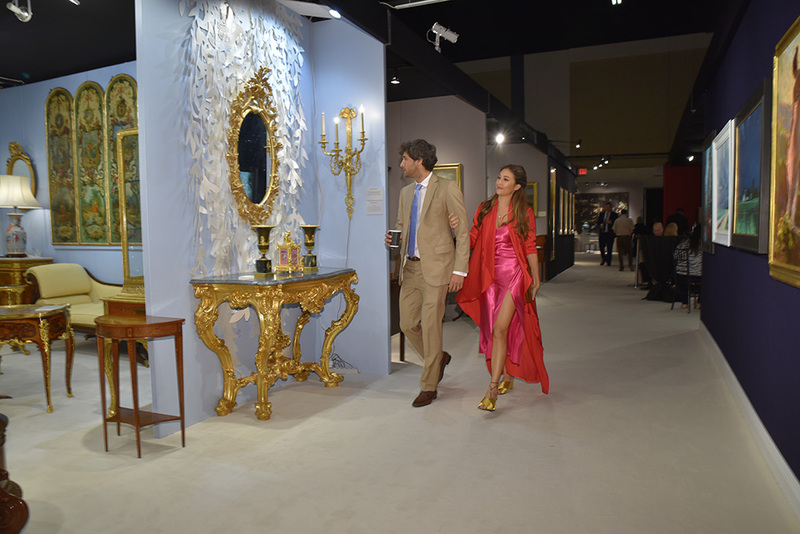 The show, which is held each year at the Palm Beach County Convention Center, features more than 175 international exhibitors showcasing extraordinary collections of fine art, jewelry, silver, textiles, porcelain, Asian art, and more, ranging in date from the antiquities to the Twentieth Century. A full review will follow the show’s closing on February 20 at the Palm Beach County Convention Center, 650 Okeechobee Boulevard. Information at www.palmbeachshow.com.